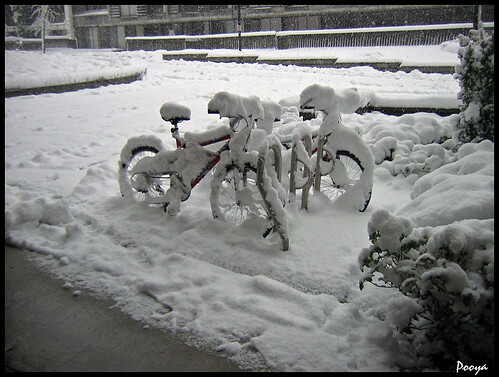 I posted a photo of snow in SFU in my flickr account this morning. Right after that I got a message, which seemed like an automatic one, from a news site named Now Public. They asked for my permission for using that photo for a news story about yesterday's SFU closure due to snow. The idea of having a news site where reporters are Internet users, is a nice idea. It may be the future of automatic news sites like Google news. Beautiful. Keep up the good work. Jsam: I've heard of it before, but never looked into it carefully. Looks fun. So is that like people submit news links and then people comment on that? How is different from let say, digg?